Career of MBA in retail is not just about managing retail chains, as any naive retail management student would imagine. Retail has transformed thanks to the wave of e-commerce and has brought with it a tide of exciting opportunities for MBAs. Pick any Indian business newspaper any day of the week, and chances are that you'll find at least one piece of news related to e-commerce. It could be about Flipkart opening new fulfillment centers in Indian cities, or on how Apple plans to sell around half of its new phones in India through the online route. Online buyers have become comparatively more comfortable with mobile technology, thanks to constant sale offers by e-retailers to increase their market share. What buyers see is just that they are getting attractive deals and offers, convenient modes of payments and fast delivery. But to materialize this, online retailers are reinventing almost all business processes and working out innovative business models for everything from sourcing to logistics. They are evolving at an unprecedented pace and for that they need people who can take a holistic view of the business, master a range of functions and help the retailer innovate. That's why these companies are recruiting MBAs with specialization in various fields. Firstly, have you thought why are these fast evolving and competitive retailers are flocking to management institutes and recruiting MBAs? Industry perceives MBA program as providing a comprehensive coverage incorporating all the important subject areas and teaching management techniques for handling business operations in a highly dynamic and competitive environment. Since technology has changed the consumer behavior and expectations, hence there has been a need in the market for young, tech savvy strategic thinkers. To have a career in retail, options are not limited to MBA Retail Management specialization, but also in operations, supply chain, logistics and even data analytics. But retail on the verge of being disrupted by digital wave and digital being predominantly data driven, I think every MBA student eyeing this sector must build data analytical skills like marketing analytics, consumer analytics, merchandising and planning, demand and supply chain or predictive analytics. Today, there has been a paradigm change in the way savvy retailers connect with their consumers and meet their demands thanks to big data. Players in retail sector especially in the online space need analytical thinkers who can understand business as a generalist and employ cross functional expertise. This is an exciting time to be in retail, offering long term cross functional exposure and growth opportunities especially to MBAs. MBA course is designed to train students to take a holistic view of the business and at the same time allows students to specialize in their area of interest. 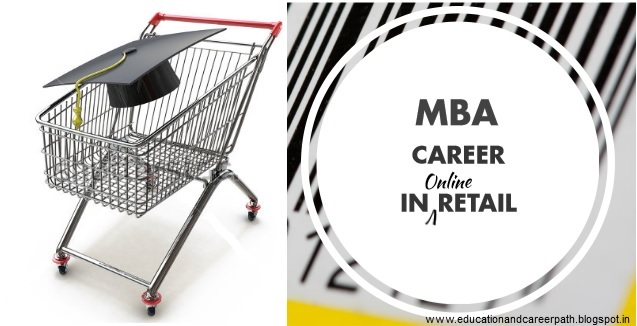 As far as MBA specialization is concerned, retail management, supply chain, logistics, sales and marketing, operations or even business analytics has huge scope to build a career in retail. Hello Nikita, In the present day where one can buy almost anything online, e-commerce has emerged as a challenging area of sales. I like how you have pointed out the aspects of an MBA course which can aid in online retail. It is certainly a fresh take on a traditional course like an MBA.